Chuck’s Auto Salvage Inc. is a leader in the Automotive Recycling Industry. Careful consideration has been focused on the methods we employ while purchasing, dismantling, testing, and preparing our parts. 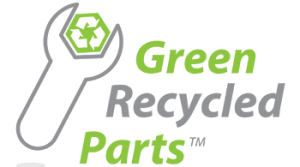 This enables us to supply you with the highest quality recycled parts. However, should an issue arise, the following language dictates the manner with which the issue will be addressed. _____ Standard Warranty: Warranty assures the original customer a 6 Month Part Only guarantee. This plan includes a one-time replacement part. _____ Platinum PLUS LABOR Warranty: Platinum PLUS assures the original customer a Lifetime Part PLUS Full Labor guarantee. This plan includes a one-time replacement part and labor installation at no cost to the customer. _____ Gold PLUS LABOR Warranty: Gold PLUS assures the original customer a 1 ½ Year Part PLUS Full Labor guarantee. This plan includes a one-time replacement part and labor installation at no cost to the customer. _____ Gold Warranty: Gold Warranty assures the original customer a 1 ½ Year Part Only guarantee. This plan includes a one-time part only replacement at no cost to the customer. _____ Silver PLUS LABOR Warranty: Silver PLUS assures the original customer a 6 Month Part PLUS Full Labor guarantee. This plan includes a one-time replacement part and labor installation at no cost to the customer. _____ All Labor Claims: Labor will be reimbursed at the shop rate combined with all Data R&R Guidelines. Diagnostic labor is not included. Please refer to your invoice and installation procedure tag for required guidelines to validate the warranty. Retain your receipt for the duration of the warranty. Any questions please contact our sales department 1-877-877-6699. BE ADVISED, manufacturers require electronic parts to be connected to proper electronic equipment so the part’s electronics coordinate with the host vehicle’s computer. Engines are guaranteed against knocking, excessive smoking or oil consumption. Previous to installation, install new seals, gaskets, and oil filters on all mechanical parts. There are some instances when the intake manifold must be transferred from the original engine to the purchased unit. Engine timing belts and chains are not covered under any warranty policies. External accessories, components, electrical parts (IE: distributors exhaust manifolds, rotors, sensors, computers, etc.) or fluids are not considered as warranty items in any of our warranty plans. All warranties apply to the original purchaser only and are not transferable. *Warranties do not apply to racing or non-oem applications. Any return part/item must be within 30 days of purchase, accompanied with this invoice and bear the markings applied by our firm. A 25% handling fee will be charged on all return parts/items. Deposits are non-refundable after 30 days. There is a $35.00 fee for any returned checks. The purchaser is responsible for any return shipping or freight charges relating to an incorrect or “not needed” order. All cut panels are special order. There is a $155.00 handling fee for the return of a cut panel. Computers are returned on an exchange basis only. Core deposits are non-refundable if they have visual cracks, damage, incomplete, or disassembled. All components must spin 360 degrees. All fluids must be drained, according to federal law, from all parts before shipping. Failure to drain fluids will result in a chargeback of $50.00 for each instance. The warranty is VOID and/or NO CREDIT will be written on a part that is disassembled.